"REM is a masterpiece. A multi-phase prediction effect with the spectator deciding every single detail only in their imagination. No switches or multiple outs and yet a single photograph shows that they have correctly divined every last element of the performer's recurring dream. It's mental in every sense of the word!" 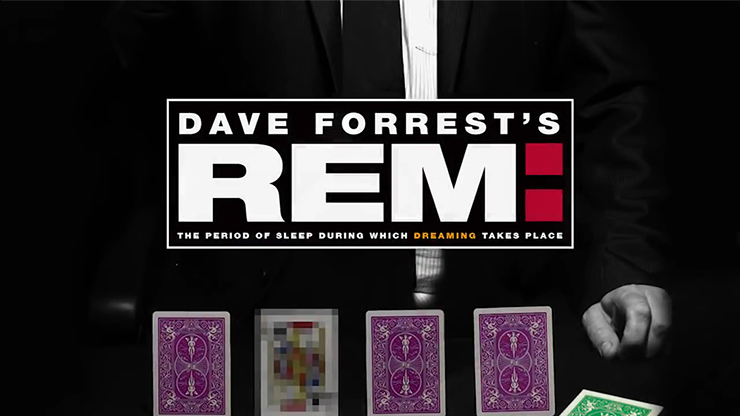 "Dave's REM is a truly baffling performance piece. Layer upon layer of clever deception leads to an impossible climax that will leave your audience speechless! Love it!" "I didn't know anything about this other than what I saw in the trailer. I am so glad I bought it! The reaction on the trailer isn't unrealistic... in fact it is the norm! It is one of the easiest routines to perform with so much scope for "making it your own"... with the mother of all kicker endings! I couldn't recommended this enough!" "This is a phenomenal routine. I never thought Dave would ever translate this to close-up from the original (The Man Who Paints The Future). I should be shot with s**t through an elephant gun for ever doubting! The reactions you will receive from this will be as genuine as the one in the trailer!" 7 years ago, Dave created an effect called 'The Man Who Paints The Future' and released it to the magic community on my 'Radio Rental' DVD. 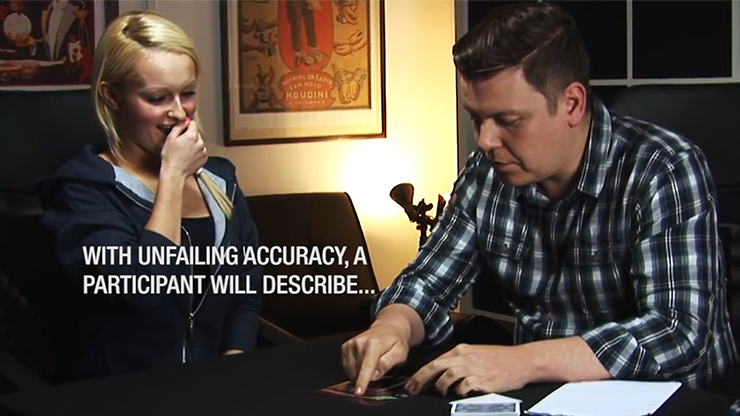 This parlour mentalism piece found favor among magicians and mentalists worldwide who added it to their professional performances. 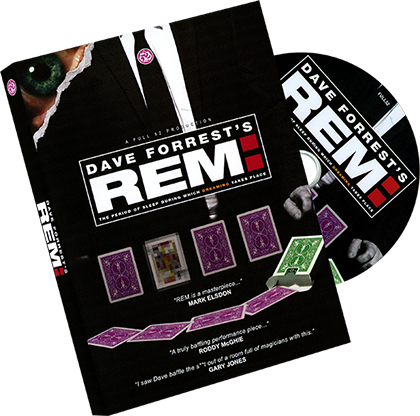 Dave has used it in two major magic competitions and closed his parlour act with it during his engagement at the world famous 'Magic Castle' in Hollywood. 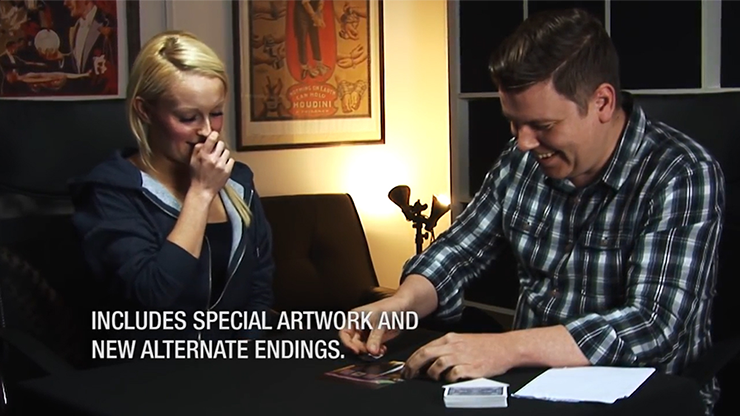 In the 7 years since it was released to the magic community, Dave has been developing a close-up version. His aim was to provide the same 'stun factor' as the original while making the whole effect portable, practical and easier to perform. Given that 'The Man Who Paints The Future' utilizes SEVEN multi-colored decks and an actual painting on a large canvas, this was no easy task. Never-the-less, he got there in the end and is delighted to finally be able to present: 'REM'. 'REM' will allow you to have anyone describe, with unfailing accuracy, the details of the performer's recurring dream. 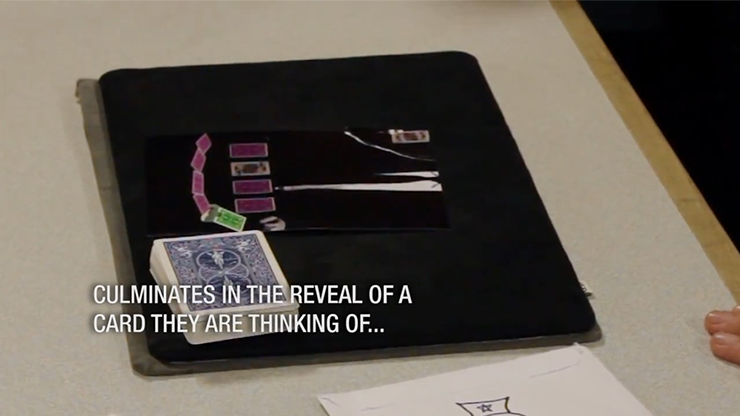 A spectacularly memorable revelation of a card the participant is merely THINKING of in their mind. Having told NO ONE the name of that card - it only exists IN THEIR MIND - you will prove that, somehow, your dream actually centered around that very card! This effect has literally been years in development. It is accomplished via layered, time-tested methods, woven together to produce the most direct effect possible while trading off as little of the magic that made it's large scale predecessor so memorable. 'REM' is very easy to perform, requiring only basic card handling skills. It is completely customizable and includes all the required digital artwork in a variety of sizes. And, there are several different ways to handle the final revelation so different artwork is provided for each scenario.